Whatever the futurist trend-setters say, at the Creative Coop we believe literacy and books have an integral role to play in the future of our library service. That said, to become future proofed sustainable assets we also believe that Libraries need to become more - and many already are on their way. Make no mistake, technology has a huge role to play. Hacker and maker spaces are nothing new, they are a concept that has been around for sometime, in an array of shapes and sizes, all over the globe and using a variety of models. At the Creative Coop we buy into the concept that libraries should become places of both knowledge production AND consumption. Spaces in the heart of our cities, towns and villages that not only provide access to information and a route to social mobility but also act as a deposit, archive or signpost to the often unharnessed knowledge that resides untapped within our communities. Hacker & Maker Spaces are a great way of fulfilling both sides of the equation. Not only do they deliver STEM skills (Science, Technology, Engineering and Maths) directly into the heart of our communities but they also uncover, document and harness what’s already there too. 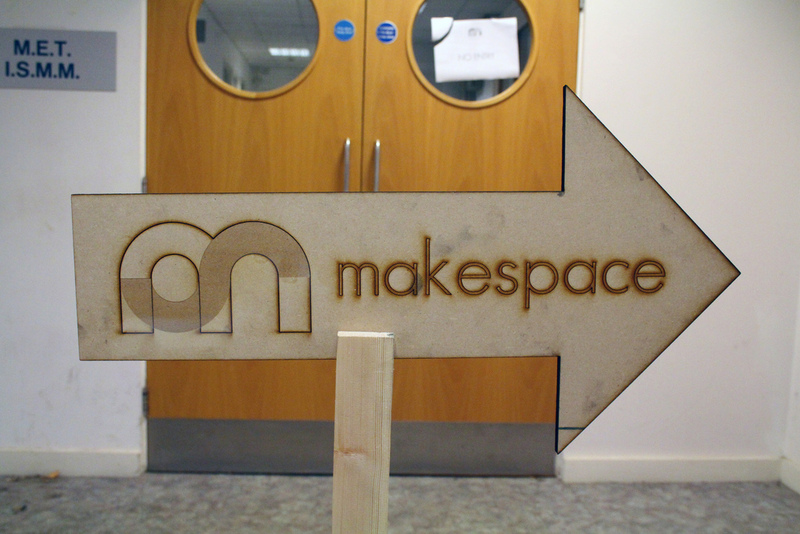 Hacker & Maker Spaces in their most fundamental form offer access to tools (both contemporary and traditional) and knowledge around how to use them with space to make, socialise and share with fellow residents. Tools that are often otherwise inaccessible complemented with local knowledge that too often goes unnoticed. As a little boy, to my parents dismay, I liked to break things, take them apart, understand how they work and rebuild them into something else. I believe this kind of activity should be encouraged... and why not in our libraries? Hack Spaces can lay the foundation for a new generation of innovators, makers, designers, coders, engineers, scientists, architects, who have room to understand and a new appreciation for how things work and the people who teach you how to hack and make them. One could rattle on for ever about what Hack & Maker Spaces are, but the best way to demonstrate what they do is to participate in one yourself - visit hackerspaces.org to find a space near you. In the meantime, take a peek inside, two very different spaces with the videos below and see what it inspires in you. Once viewed, read on to find out how we intend to test how such spaces could work in a library context using my home town Colchester. Unlike the above, not all of us benefit from owning several thousand square feet in the heart of a vibrant city. So we’ve been working with local partners to test out how such places could sustain themselves in a small town, single room space, like where many community led libraries operate. We’ll be documenting what we do in an open transparent manner, in the hope that we can support others with similar spaces in rural and suburban settings to do the same. Our single room hack/maker/library space is in a building called the The Waiting Room, previously serving the local bus station which has since been moved elsewhere. A brand new social space, we aim to bring together local residents to uncover the town’s cultural identity. In addition to a Hacker & Maker Space the building (shown above & below) will include a collection of books on craft and artisanry in a library format, artist studios, reading room, a recent history archive (1760 onwards) a kitchen/cafe/bar, pop-up shops and a Trade School. Equipment for the Hacker & Maker Space will start small and hopefully grow, with a letterpress, a homemade 3D printer, a large format plotter, lathe (pending) and some basic day-to-day tools like saws, knitting needles, soldering irons, sewing machines and drills. The important thing for us is that it contains a mixture of contemporary and traditional tools to help engage a cross generational section of the community, building bridges between young and old and teaching all the fundamentals of how things work and the value of the creative process first – whizz bang technology second. If you like the sound of our project and would like to know more you can follow our progress on twitter, via our mailing list or email us at [email protected] to book a visit to learn the best way possible, through participating. Finally since it's World Book Day, I thought it only appropriate that I recommend a good book to read on related matters. We have recently added Lost Crafts: Rediscovering Traditional Skills to our book shelf. Whether seeking instruction or inspiration, interested in social history or simply curling up in an armchair and daydreaming, Lost Crafts is a fascinating treasure of pastimes from a bygone age to teach geeks like myself to look back as well as forwards.